1:00 — Stuck with gossipers in your life? 2:18 — No. 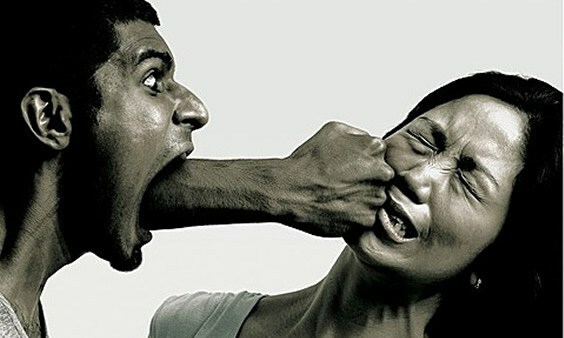 1 problem we deal with in community with others and its aspects is Verbal Abuse. 3:27 — Tim reads an email response to our last Supporter Fellowship talking about verbal abuse. 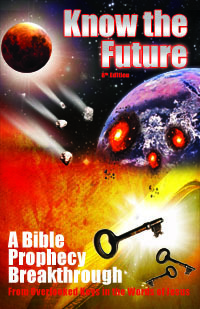 4:15 — Bible prophecy teachers (like Tim) get verbal and written abuse, too. They can relate to you! 5:27 — Social media gives space for even more verbal abuse and gossip about you. Those anonymous, pesky comments! 6:47 — Why explaining yourself often does not work. 7:57 — It's scary being out of control and having safety issues. 10:30 — Katrina's testimony of verbal abuse in school, every student's nightmare. 13:13 — Reading whole books of the Bible to get balanced understanding. Take the time. 13:46 — James, Jesus' brother critical warning about our tongue and self-control. 16:24 — It feels good to gossip and/or talk back to people.- come on, admit it! 17:19 — Respect that every human holds God's likeness. Wow, what an honor we hold! 18:17 — Feeling guilty about hurting others with our tongue but not having the tools to do differently. 19:25 — Tim's strategy: "If it feels good then don't say it! "- repeat, repeat, repeat. 21:23 — What keeps us from being wise and understanding? Shared. those actions and things in your life. throw rotten tomatoes at us now :). 28:00 — Suffering is good for you (again down with the rotten tomatoes :). become clear on why you choose to do things God's way. What is the end goal? a) What does Galatians 5:19 have to do with the end goal? 31:30 — What is obedience to Christ? don't seem to get answered for ya), slow down. You might be moving to fast. as well since we don't have Apostles usually living in our midst teaching us. Don't guilt yourself but instead focus on change. 37:23 — First filter and actions to take before responding to verbal abuse according to Scripture. 39:25 — Who is defending who? What does Moses' life show us? to lose your life to find life? the battle. The fast track to getting through verbal abuse issues. Once again, thank you both for your transparency and real life examples! I’ve never found it very useful to hear only the words of what we are to do without the fleshing out of how to do it! God bless you both with continued wisdom, humility, love and courage to be the teacher’s of Yehova’s way that He has clearly called you into by walking the talk! Thank you for sharing, Tim and Katrina. Your podcasts are instructive, encouraging, and thought provoking. I love your reassurance that our baby steps towards being the kind of people with whom God wants to spend eternity are valued by Him. That helps set us up for success. I am so blessed by this. I was looking for some comfort today due to numerous situations in different areas of my life and feeling overwhelmed, alone and actually weighted down. Physically still feel the weight but totally spiritually uplifted by your encouraging podcast focusing on an uncomfortable issue that we all need to hear. Will be listening again soon incase I missed anything. Can’t wait for the book either! This podcast was exactly what I needed to hear. Jeshua has been putting it on my heart for the last 6 months or so to love others when they are unlovable, namely my husband. Also, I got a gentle reprimand to let my husband be where he was at. I might not like some of his actions and behaviors but it wasn’t my job to correct him or try to turn him back to Jeshua. I had to let God be God. My job is to show him Christ’s love through my behaviors. This can be sooo hard to do. The world says I deserve better treatment and to leave my marriage. Or at the very least to argue back and defend myself. It’s is so hard in that red hot moment to keep my mouth shut and not say anything. I know i should pray for the right thought or action. Sometimes I succeed, many times I fail. Often in that red hot moment of anger or hurt I know I should pray but I just don’t want to. The situation always escalates until I finally relent and pray for God to show me the way of Christ the peacemaker. I was so happy to listen to your podcast today. I was taking notes and will listen to it again. It was nice to know im not ‘taking this whole Jesus/loving thing too far.’ I also appreciate your honesty. It helps knowing I’m not the only one that needs lots of practice.